Since graduating college just about a year ago + receiving my degree in culinary nutrition—I have whole-heartedly fell in love with nutrition and all that it truly has to offer because by making simple changes in your diet on a daily basis, nutrition will 110% improve your quality of life in all aspects. Consuming real food made with real ingredients is what it's truly all about and *exactly where we all must begin. I've made a pact with myself to bring forth one or two ingredients every week that I love, consume on a daily basis + thoroughly believe aids in my belief that nutrition starts on the inside in order to allow yourself to shine bright on the outside. I'm all about those greens + blues that make my days brighter and better, #4everever. Spinach is a powerful green beauty booster that is loaded with antioxidants, vitamins + minerals. Consuming spinach boosts levels of two well-distinguished antiaging nutrients: vitamin A + glutathione. Vitamin A is stellar because it keeps skin-cell turnover moving along and flourishing—making your complexion brighter all the while the glutathione is a defense mechanism against DNA and mitochondrial damage + regenerates vitamin C for super extended antioxidant power. Spinach is packed with blood-oxygenating chlorophyll and beauty minerals like iron, manganese, and magnesium! Not to mention that spinach contains bone-strengthening properties from vitamin K—so forget the milk and kick up your spinach intake! Even though spinach is a killer all-natural beauty booster in it's raw state, the calcium + eye-protective lutein content within it's leaves is more easily absorbed when cooked. 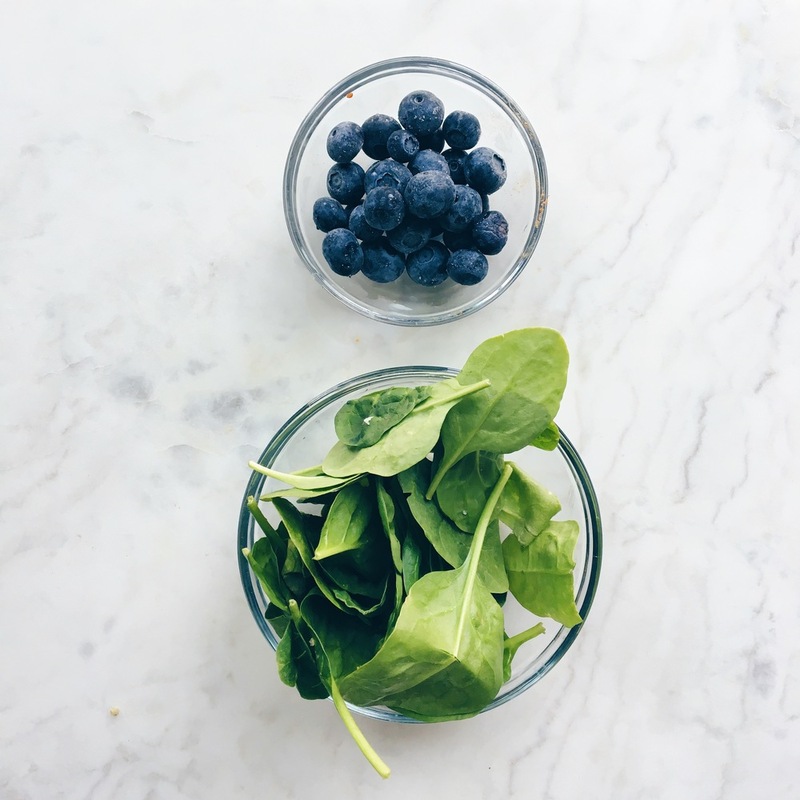 Try eating spinach with vitamin C-rich foods like strawberries or lemons so the beauty nutrients can be easily absorbed. We're saying farewell to all the saggy and droopiness that occurs + a big beautiful H E L L O to stunning tight skin! Blueberries are also packed with powerful boosts of vitamin E + C as well as a healthy dose of potassium boosts the circulation of nutrients and oxygen. GET this, blueberries even aid in reducing fat storage in your body due to their ability to decrease insulin resistance. Remember: eat pretty + feel GORG is the motto! A new post all about eating pretty will be an every week thing—stay tuned babes! BLUHAZL R E L A U N C H!